Leverstock Green Farmhouse, Leverstock Green Road. glazing bars. Two storeys with modern brick wing. One storey wing on left. A great deal is known about the history of the farm, as fortunately much of the documentation concerning the right to title of the land is held either at HALS or by the present property owner Mr. Peter Webber. It is clear from the documents we have that until the latter part of the 20th century, the farm, as a working farm, occupied the same lands more or less for many centuries. The holding itself, with the exception of two fields in the parish of St. Michaels, at the junction of present day Pancake Lane and the A4147 (running back up Pancake Lane) being confined to the furlong strip between the boundary between the parishes of Hemel Hempstead and Abbots Langley, and the ancient Saxon/Medieval furlong field boundary marked by Peas Lane. Peas Lane for the most part now having become Peascroft Road and Malmes Croft, with the footpath joining the two. It therefore seems likely that this land as a single unit predates by several centuries the present farm building - and it may be the present building was built on the site of an earlier dwelling. In any case, the land was certainly in cultivation in early Medieval times, and probably in Saxon if not earlier times as well. The farm estate was "late in the tenure of or occupacon of William Morris and now or late in the tenure and occupacon of John Hawkins." The sale was between: "James Marston Citizen and Milliner of London, son & heir of Henry Marston deceased late of Abbots Langley and Dorothy Marston Widow relict of Henry Marston; and Richard Long Mealman of Abbots Langley." The estate was "to be held directly of the King as of his manor of East Greenwich in free and comon Sovage." 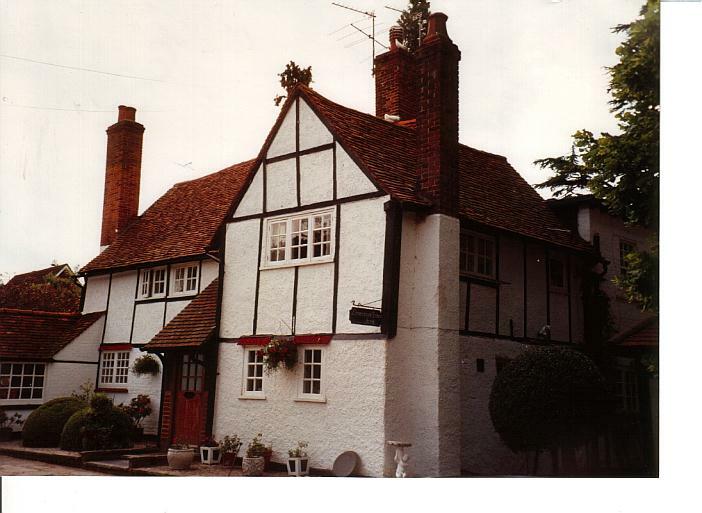 It seems likely that this was the case due to the fact that much of the manor of Abbots Langley had become part of the lordship of Henry Prince of Wales (eldest son of James Il) in 1610. It was leased to Francis Bacon (of Gorhambury) in trust for Prince Charles (Charles I), but by 1641 had passed into the hands of Frances Combe of Hemel Hempstead - though exactly how and when is uncertain. (See also entry for 21 May 1641.) It is possible that part at least of the manorial rights had been retained by Charles I, and later by his son. However, later records show it to have been part of the Manor of Abbots Langley proper, with no reference yet discovered as to how the lands in question were returned to their original manorial title. The Marstons and Richard Long had to go "before the Kings Majestyes Justices of the Court of Common Pleas att Westmister or some other thereunto lawfully authorised one or more Fine or Fines"
"All that close of arable land known by the name of the Heath conteyning by estimacon seaven acres more or lesse now in the tenure and occupacon of the sayd Thomas Carpenter or his Assignes lyeing and being in Abbots Langley aforesayd heretofore the lands of Henry Marston Deceased adjoining to a lane called Pease Lane north the land of Daniel Lea South and the land of the sayd Thomas Carpenter west or howsoever otherwise the same is abutted or bounded with all wayes passages profitts Comodityes and appertenances theretofore belonging"
This 7 acre plot was roughly where Hobbs Hill Wood Primary School is today and stretched as far towards Nash Mills slightly beyond the end of where the present Peascroft Road joins Barnacres and Leys Road. ( See map of Carpenters Farm estate.) The Pease Lane referred to and which formed the principle boundary to much of the farm was the original lane following the medieval field boundary from which the present Malmes Croft and Peascroft Road were formed. Pease Lane bounded the estate and turned north where Peascroft Road now meets Barnacres and Leys Road. The modern road which joins Leys Road called Long John is named after one of the fields named in the estate - also Long John. The main part of this small estate was formed out of one of the old medieval furlong strips. Although no such individual documentation appears to have survived, it seems probable that at the same time that Thomas Carpenter bought The Heath he also purchased the copyhold to the rest of the estate, and this was documented separately, as they were in 1718. 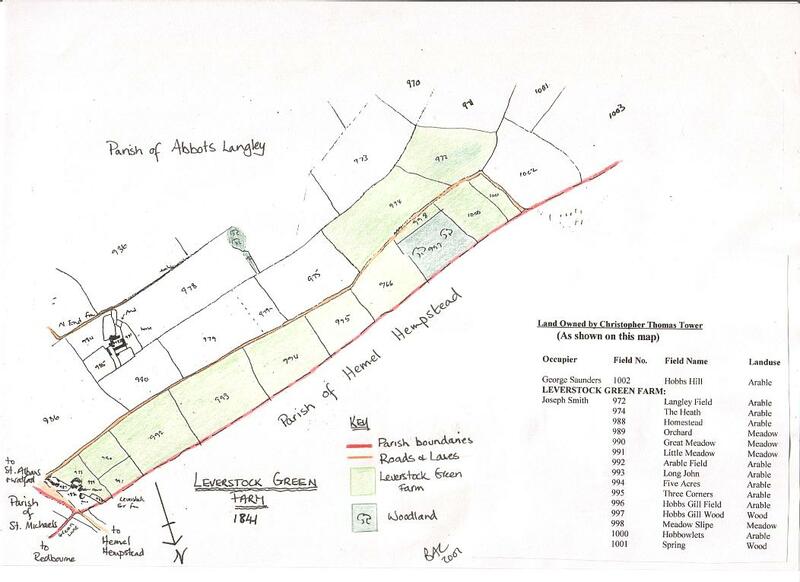 [HALS 80755-6] The reason for the separate documentation was the fact that The Heath was freehold, whereas the rest of the estate was copyhold, as is shown quite clearly from HALS documents 80799 & 80800. 27th December 1676 - From a copy of a court roll dated 2nd March 1676/7 we know that Thomas Carpenter surrendered the lands which had become known as Carpenter's Farm, back to Richard Long the freeholder. This document proves that there should indeed have been an additional document for the copyhold sale of the property, probably in 1671 at the same time as he bought the freehold to The Heath. A full translation of the document can be found at the local library, but as can be seen from the extract below a very detailed account of the various fields making up the property and their exact location in relation to one another and their neighbours is given.
" .... one messuage and tenement situated at Leverstock greene with the house stables edifices yards orchards gardens and all and singular the pastures to be considered one close of land called Ivons croft containing by estimation 5 acres more or less abbutting onto the lands of Daniel Lea in part to the south and situated on Pea Lane and partly to the north by one close of land called Farther feild with a coppice adjoining containing 3 acres more or less abbutting partly on the land of Elland Settle and partly westwards on Pea Lane and east and south and four acres more or less of brushwood called Hobbs Gill and to the west one close called Hither Hobs Gills containing four acres more or less next to a copse bounded on the west by one close called Upper Thornes Close containing 3 acres more or less adjoining a close called Hither Hobs Gill and to the west one close called Johns Thornes Close alias Long Johns now divided in two containing six acres more or less abutting on to Pea Lane and to the east and south the land of Sara Long widow and Elland Settle and to the north and west one close of land called Middle Thornes Close containing three acres more or less and at the end to the north and west one close called Hither Long Johns containing three acres more or less and next to that one called Middle Thornes Close above and to the west one close called Hither Thornes Close containing seven acres more or less and adjoining a close called Long Johns above and to the west one close called Thornes Croftes containing two acres more or less and joining a close to the west. And all the statutory tithes growing renewing and increasing...."
That it is agreed this 3rd Oct.: 1718 between Dr. Hale of St. Giles's London, & Mr. Jeremiah Long of Abbots Langley Hertfordshire that the said Dr. Hale shall give Mr. Long the summe of eight hundred and seventy pounds for an Estate in Abbots Langley & Gorhambury called Carpenters of the yearly value of thirty eight Pounds. pr an: the said Mr Long making out a good and clear title to the said estate. This estate to be conveyed on the second Monday in November next. to belong to Dr. Hale. November 1718 - February 1718/19 - There is considerable documentation concerning the conveyance of Carpenters Farm to Dr. Richard Hale dated during this period, much of it of considerable interest. As a result of all these legal manoeuvres Dr. Hale became the freehold owner of the land called The Heath, the copyholder of the land within the manor of Gorhambury, and I think the freeholder of the land which ran along Pease Lane. In the latter case some of the documents can be rather confusing as the estate is referred to as being copyhold of the manor of Abbots Langley, yet terms used in the various documents imply the eventual transfer of the freehold. 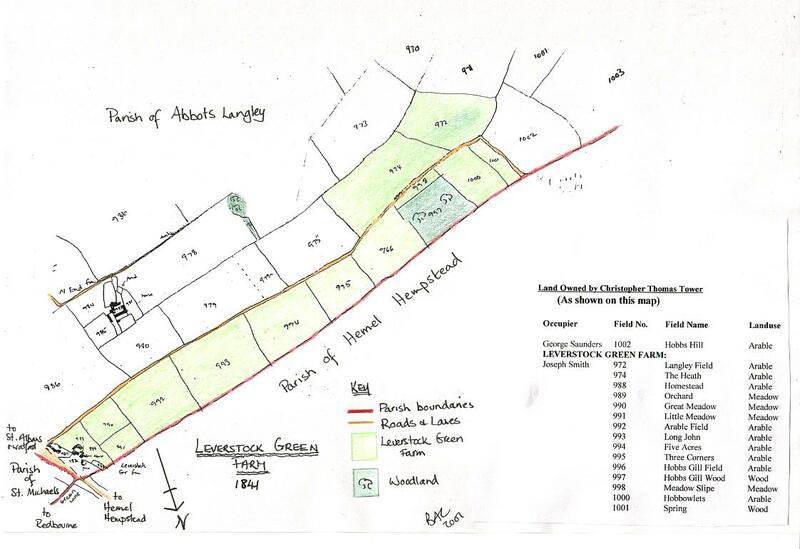 Leverstock Green Farm, Finch Tenant and at Will Rent £44 House Orchard etc.
" The said Christopher Tower agrees to lett unto the said James Preston........... for the term of Twelve Years from Michaelmas Day next at the Rent of Sixty Four pounds Clear of all taxes Except Land Tax and Quit Rent to be paid at Christmas Day Lady Day and Midsummers Day and Michaelmas Day in each Year And at an Additional Rent of five pounds for every tree and body of Pollard to be cut down by the said James Preston And a further additional Rent of £10 for every acre of Meadow Land which shall be anyways broke up Except to the said Christopher Tower his Heires and Assigns All Timber Trees Tellars Waivers Saplings and Bodies of Pollards and liberty to enter and cut the same Also except liberty to enter and see the state of the Repairs and of Hunting shooting and Fishing on the Premises. The said James Preston to put the Buildings and Fences into good Repair within the first year and also to keep and leave in repair, the said Christopher Tower providing rough Timber Bricks and Tiles the said James Preston fetching the same with his teams not exceeding four miles. The said James Preston to House and Stack on the Premises all the Crops of Corn Grain Grass and Hay and spend all the Straw Muck Dung Soil and Compost thereon Except the Wheat Straw which may be sold in each year but the last provided the money arising by the Sale is laid out in Dung or Soot and brought on the Premises under the penalty of Forty Shillings for every load of Straw Stover Muck Dung Soil or Compost which shall be carried off the said Premises except aforesaid. The said James Preston to leave all the Straw Halm and Fodder of the last Years Crop and leave it in the Yards and Gateroom of the demised Premises the said James Preston having the use of the Barns and Yard till the twenty fifth day of March after the Term; at Lady Day in the last year to leave One Third of the Arable Land Fallow and permit the Landlord to enter and Plow Dung and the same and to have the Use of a Stable for his Horses without paying for the same - The Landlord to have liberty to sow Grass Seeds with the Lent Corn in the last Years. Associated with Leverstock Green Farm were: Christopher Thomas Tower, James Preston, William Turner, Isaac Turner, John Groom, Henry Smith and Joseph Smith, [HALS 80782-80785], John Knox Hart. 8. He was "not to cut the underwood in the wood called Fox Howletts till January 1st 1825 nor of the wood called Hobbs Hill till after January 1st 1826". It is interesting to note that the woods were referred to as Hobbs Hill for the first time, and not Hobb Gill or Hobb Jo. As late as the present time elderly residents of the area still referred to the woods as Hobb (pronounced 'obb) Gill or Hobb Jo. I believe the name Hobbs Hill came about by a clerk mis-copying the name from an older document. Click on to view map of the farm in 1841. 1860 - from Kelley's Directory, Joseph Smith was at Leverstock Green farm, and Thomas Kingham.
" To Mr. Joseph Smith of Leverstock Green Farm Abbots Langley Herts. 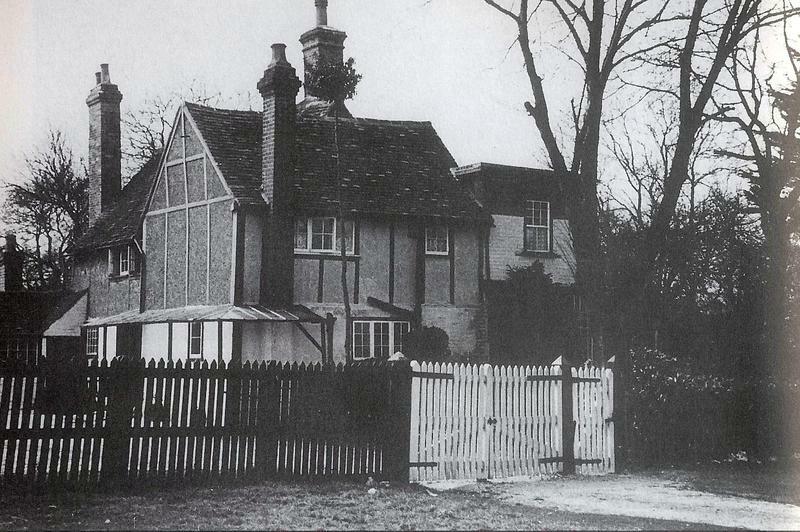 Leverstock Green Farm in the Parishes of Abbots Langley and St. Michael St. Albans occupied by Mr. Joseph Smith. The whole of the Foregoing Farm is Copyhold with the exception of 974 which is freehold. Lot 2 is the land held of Gorhambury.........."
14 January 1885 - Leverstock Green Farm was sold to James Knox Hart by Christopher Hume Tower. The farm, which stood at just over 65 acres in size had barely changed from the same land farmed by Thomas Carpenter in the 17th century. It is interesting to note that the property within Abbots Langley Parish now appears to be totally freehold. It was no doubt the change in status and the various mortgages etc.. taken out to secure the freehold by Christopher Tower which made John Knox Hart somewhat wary about committing himself to the purchase of the farm until he was completely satisfied that Christopher John Hume Tower had complete right to it's title. For anyone interested in the legal arguments and mass of paperwork generated before the sale could be completed, they should refer to HALS document D/ELs B900. Thursday 25th May 1905 - The auction of the Leverstock Green Brickfield and Tile Kiln Farm took place, resulting in the farmland being purchased by Leverstock Green Farmer John Knox Hart. August 17th 1914 - The 1st Battalion Queen's Westminster Rifles arrived at their war station in Leverstock Green, having been sent to the St. Albans area as part of the 2nd London Division of the Territorial Army. The Division had assembled in Hyde Park the day before, and marched 12 miles down the Edgware Road where it had bivouacked for the night; marching a further 10 miles on to its final destination on the Monday (17th). The weather was exceptionally hot and the men were carrying full packs. A & B - Bunkers Farm. D - Westwick Hall Farm. F - Leverstock Green Farm. 18 February 1915: This was the date on the deeds transferring land at the corner of Pancake Lane and Leverstock Green Road to the Trustees for the Parish Room. The land had been the property of John Knox Hart of Leverstock Green Farm. The deed was dated 18TH FEBRUARY 1915 , for which he received the sum of £100. A full transcript of the deed is available. However for some obscure reason this was not apparently made generally know in Leverstock Green at the time. 1926 Kelley's directory showed another apparent newcomer to the village, Arthur Webber who had taken over Leverstock Green Farm. We regret to record the death of Mr. John Know Hart, who passed away o October 20th at his residence in St. Albans Road Hemel Hempstead. Mr. Knox Hart, who was 85 years of age had lived in the district for 50 years and was probably one of the best known personalities over a wide area. Up till the autumn of 1920 he lived at Leverstock Green Farm whither he came from Scotland at the age of 36 a changed profession and a more southern climate being necessitated by his unfortunate ill health. Mr. Knox Hart was a tweed merchant and had a flourishing business in north Britain before his departure south. Since living at Leverstock Green he resided at Tile Kiln Farm and Belswains farm, Hemel Hempstead and was for a little time at residence in Berkhamsted. Mr. Knox Hart was a gentleman of wide interests and knowledge. Under a sturdy exterior he carried a genial personality and sound characteristics of the keen business man to whom integrity of purpose was a guiding trait. He was a familiar figure in the markets around West Herts and one who was greatly admired. The "world" as it is known did not deal kindly with him at times, but misfortunes never shook him from the path of perseverance and hard work and his happiness of disposition was unscathed. As would be his wish he died practically in harness, for he carried on his normal duties until a short time prior to his death. To Mrs. Knox Hart and his other relatives left to mourn their loss the deepest sympathy will be extended. The Shuffrey family moved into Leverstock Green Farmhouse in the mid 1930's, and the farmhouse and its grounds (no longer the complete farm, but the fields immediately behind the farmhouse and stretching back on a line with "The Dells") were to play an important part in the war effort, as Reginald Allan Shuffrey was to be the local Homeguard Officer, and the ammunitions dump for the Homeguard was actually built in the paddock behind the farm, the farmhouse being the Homeguard HQ. Mr. Shuffrey, as well as the local Homeguard chief, was also a keen photographer, and many of the photographs in my book of the village in the 1940's & 1950's were taken by him. There are also photographs in the book of the ammunitions dump, Lt. RA Shuffrey and the whole Home Guard contingent. After Mr. Shuffrey Senior's death in 1953 the farm passed to his son Anthony and his wife Margaret. They lived at the farm until 1964. When the Hemel Hempstead New Town was built in the 1950s land was compulsorily purchased. However they did not take the 8 1/2 acres of fields until 1958, The fields were developed for them by the Laing Housing Co.Ltd. into what was to become the MRA estate,that is the area known as the Lake District as the roads are all named after parts of the Lake District. In 1964 the Shuffreys sold the remaining 1 1/2 acres, including the house and garden, to Laing Housing who promptly sold the house and garden to the TV and film actor William Lucas. They built what is now Windermere Close on the remaining area of paddock behind the farmhouse. TOP: Plan of the farm.